Shane Black's The Predator has released a new promo ahead of next week's San Diego Comic-Con appearance and it's a gruesome reminder of the 1987 original movie. Many fans of the franchise have been looking for hints of the sci-fi/thriller classic in all of the promotional material that has been released so far, but aside from the look of the Predators, there hasn't been much, which isn't necessarily a bad thing at all. Black has been very vocal about not wanting too much footage to be released ahead of the premiere in an effort to keep all of the surprises a secret. The new promo for The Predator is just a simple repeating gif that leaves you waiting for something to happen. The promo has a caption that reads, "Good luck killing something you can't see..." And while that's pretty awesome by itself, it's the gruesome imagery of a corpse dangling upside down with some blood and guts hanging out of it that remind you of the brutal nature of these hunters. The body gently sways and is a perfect callback to the original movie, showing off the trophies of the Predator. Shane Black's The Predator will make an appearance at San Diego Comic-Con, taking over Hall H on July 19th at 10:30 a.m. Pacific Time for a panel. It isn't clear what will be shown, but the collective assumption is that Shane Black and some members of the cast will reveal some new footage, possibly even another full-length trailer. However, as noted before, Black likes audiences to go into movies blind, admitting that when he and his brother were little, they'd cover their eyes during the trailers so that nothing was spoiled. Trying to put out a movie as big as The Predator in today's social media climate without a bunch of footage being released is pretty much near impossible. With that being said, Shane Black has done a good job of letting out footage that has been generally spoiler-free. While some fans were turned off by the first trailer, subsequent TV spots and promos have been a step in the right direction. Additionally, it has been revealed that The Predator went through some extensive reshoots to fix some problems, mainly the ending. Black has admitted that the first version of the ending did not work, so it was reshot. Also, the director wanted to go back and make the "Upgrade Predator" even meaner and uglier than before. 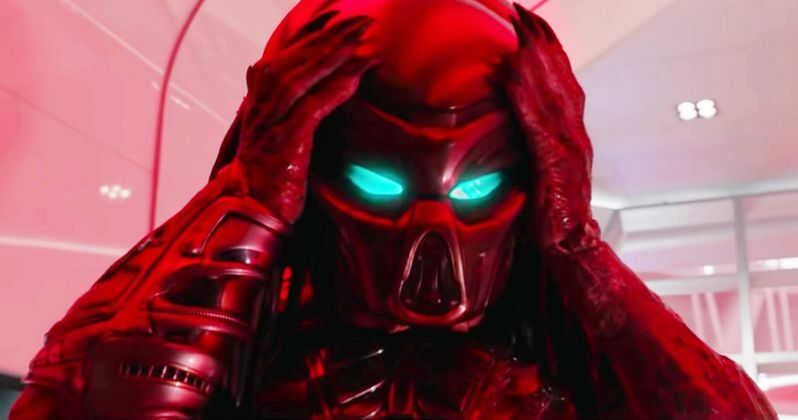 Shane Black says that the original ending of The Predator took place during the day and that it just did not have the spooky effect that he was going for. The first movie had plenty of scenes that took place during the day that were super creepy, but it's the night footage that really put fear into the viewer. The Predator hits theaters on September 14th, and in the meantime, you can check out the brand-new promo below, thanks to the Predator Twitter account.